What if I need surgery or medical treatment? Home » Our Practice » What if I need surgery or medical treatment? 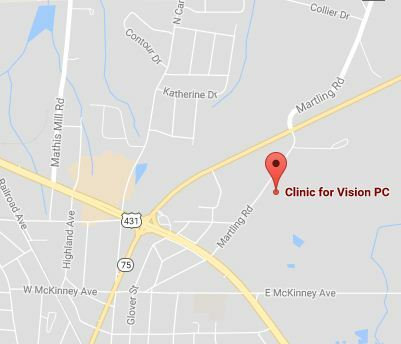 Clinic for Vision PC doctors are skilled in diagnosis and management of most eye conditions. We treat eye injuries, infections, and diseases like glaucoma. Sometimes surgery or further diagnostic workup is required. We use sophisticated testing in the office, and sometimes use outside labs and radiology. We refer to a wide variety of specialites based on our patient's needs. Our committment to providing you with the best possible care extends to the doctors we select to help wilh these special cases. Opthalmologists specializing in cataract surgery and diseases and surgery of the retina are available for consultataion in Albertville. Other specialists in plastic surgery of the eyes and lids, LASIK and refractive surgery, strabismus surgery, and corneal diseases areselcted based on your needs. Some cases may involve coordination of care with your family physician and other medical specialties.